Anything the National Trust can do, I can do, um, not nearly as well, but I’m nothing if not a trier. The Trust recently published its Winter walks in Wales and I found myself ticking off seven fingers out of the 10 walks, nodding vigorously at how marvellous they each are. Cwm Idwal! Classic. Porthgain! Perfect. So here, in reverse order, is my top five, all close to home in south Wales and guaranteed to put the rose in your cheeks and a smile under your scarf. Every year, at least six people who don’t do walking tell me they’re going to climb Pen y Fan. And every year, I ask: why? – particularly as these people invariably live within shouting distance of Cardiff and in the shadow of a cheeky little number called the Garth. At a mere 1,007ft it’s not a mountain, but it’s an alluring summit to bag and quite challenging if you start from Gwaelod y Garth. Literally meaning ‘the foot of the Garth’, the village clings in a higgedly-piggedly heap to the side of the hill, largely around a wonderful inn of the same name, which is a great starting and, more importantly, finishing point for a winter Sunday stroll. 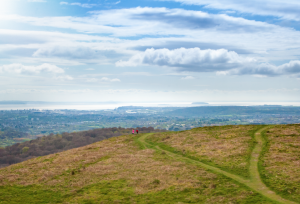 The easy-peasy route, however, is from Pentyrch, from where you can reach the trig in 20 minutes and saunter across the Garth’s long ridge and its three burial chambers. Yes, three! Take that, Pen y Fan (she has just the one)! 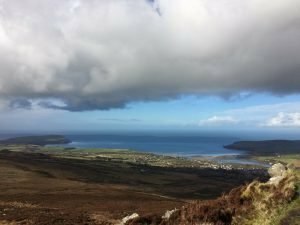 The Carningli walk is due to appear in my next book, Quiet Walks for Quiet Minds, at some point soon(ish). All the superlatives here, folks, as this Jurassic coastline needs to be seen, especially under a low winter sun coaxing the colour from the cliffs. 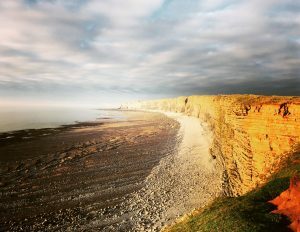 The heritage coast is 14 miles in total, my favourite stretch starting at Dunraven Bay, Southerndown, which is a little quieter than popular Ogmore. 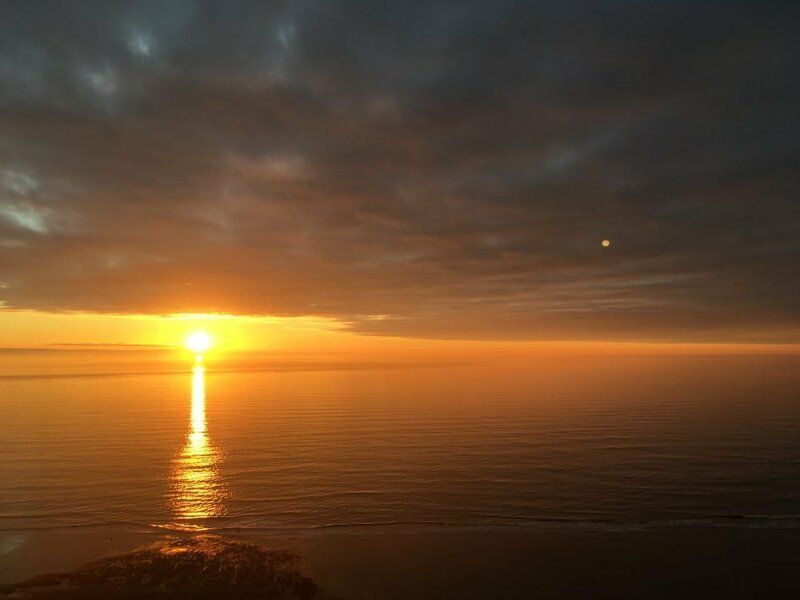 The clifftop walk along the Wales Coast Path to Nash Point Lighthouse is glorious, with a rewarding little cafe awaiting you there, or you can turn before Nash Point into the peaceful, wooded valley of Cwm Nash. You know how you think no view can better a dancing, cobalt sea, then you wander left and find some waterfalls? Yes, that. And did I mention the walled gardens of the ruined Dunraven Castle? Don’t forget to pop in at the end of your walk! 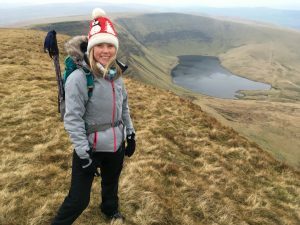 If you’re new to walking, this challenging circuit isn’t the one on which to test fresh boots in a heatwave, let alone the finest wintry conditions Wales can throw at you. Climb the Garth (no.5) instead, look north and, on a clear day, admire PYF from afar. But if you’re already comfortable with the hike up the ‘motorway’ track from Pont ar Daf / Storey Arms, this six-plus miler from the Lower Neuadd Reservoir shows Pen y Fan’s best side – without the crowds. After crossing the weir at the old filter house, the first scramble’s a killer, but once you’re heading north along the ridge of Craig Fan Ddu, the views are a joy. Take in Corn Du and Pen y Fan before plummeting down Craig Cwm Sere to the Roman road. See that big triangle ahead of you? That’s Cribyn. Go on, be my guest; often overlooked in favour of PYF, she’s a fantastic beacon and another worthy ‘nail’ in the horseshoe to bag. Throwing Cribyn into the mix or not, head south from here back to the lower reservoir and the comfort of your car. Pen y Fan’s ‘easy’ and ‘hard’ ways are both outlined in this lovely little book. If you don’t want to spend £8.99 you can borrow it from the library, you Christmas Scrooges. Oh this one (*inserts heart emoji*). Wonderful in the heat of summer, it’s also a classic winter trail because, on a crisp, snowy day, there actually is nowhere lovelier* than these two magical, mythical lakes. But this is a hearty 10-mile hike across terrain that’s pretty rough in parts and extremely boggy in others, so it’s another not to try until you’ve passed exams in ‘re-folding an OS map’. It can be started from the east or the north, my favoured route being from the Trecastle road, to the east, which climbs to the larger lake first. Llyn y Fan Fawr is breathtaking and beautifully isolated, without the footfall around the smaller lake (Llyn y Fan Fach), which is more easily reached from the north. Stopping for a lakeside tea-break is obligatory before making the sharp ascent up the Devil’s Staircase (there are lots of these in Wales too) to Fan Brycheiniog and Fan Foel, the highest point in the Carmarthen Fans. 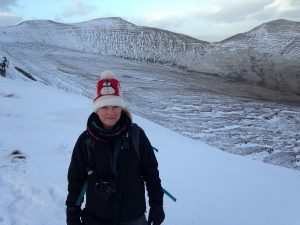 For a shorter walk, you can drop down the nose of Fan Foel and loop back around to Llyn y Fan Fawr, but it’s much more fun to head west, onto Picws Du, and circle the ridge until you descend to the shores of Llyn y Fan Fach and the cosy rescue shelter, where you’ll meet many a cheery stranger happy to share hiking tales and a slice of Christmas cake or two. You can also reach this spot from Blaen Sawdde farm and complete the two halves in reverse, or simply take a shorter walk up to Picws Du and back – the route’s in here! From the rescue shelter, follow the path contouring the foot of Picws Du, Fan Foel and Fan Brycheiniog back to the larger lake and down to the road. These peaks (‘fans’ in Welsh) form a range called Mynydd Du, or the Black Mountain, singular – as in, not the Black Mountains, plural, in the eastern Beacons. Confused? Lots of the folk on Instagram sure are! IMPORTANT: Walks 2 and 1 are long, tiring hikes that can easily take all the daylight hours in winter, especially in snow. 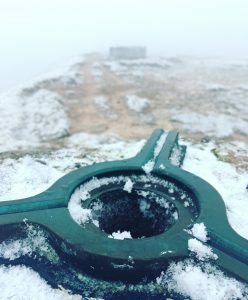 Tell someone your route, take lots of layers, hot drinks and the obligatory detailed map and pack a headtorch – just in case!